Intelligent Management and Greater Efficiency Throughout the Lifecycle. 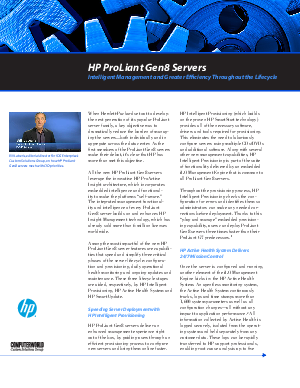 The new HP ProLiant Gen8 servers feature capabilities that speed and simplify three critical phases of the server lifecycle: configuration and provisioning, daily operational health monitoring and ongoing updates and maintenance. Download this short paper to learn more.